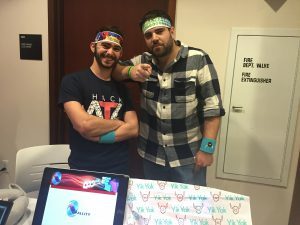 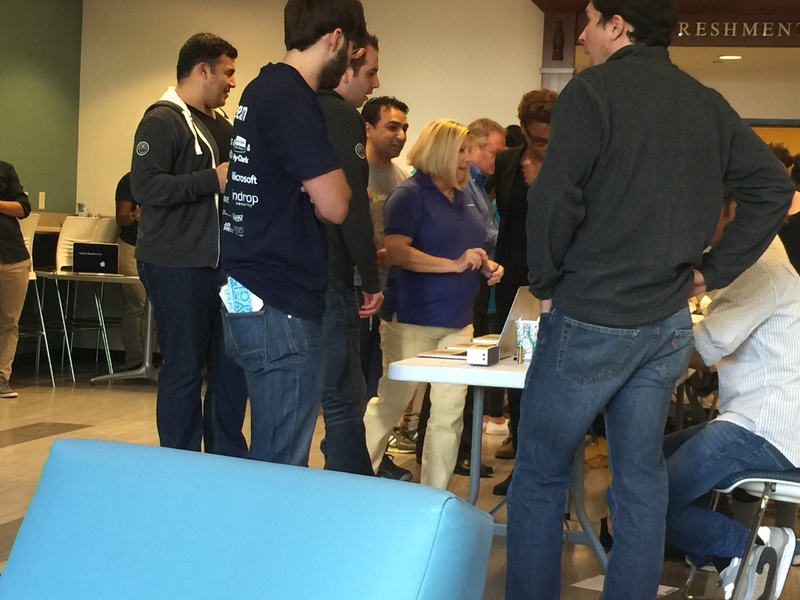 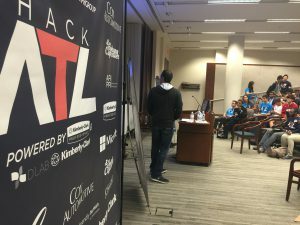 I got to help run the Hack Atlanta event this weekend. 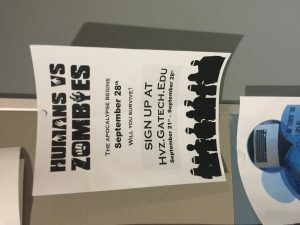 I saw some brilliant developers out there. 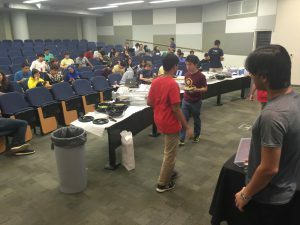 I was able to help mentor and even gave away some personal equipment as prizes since I was soo damn impressed. 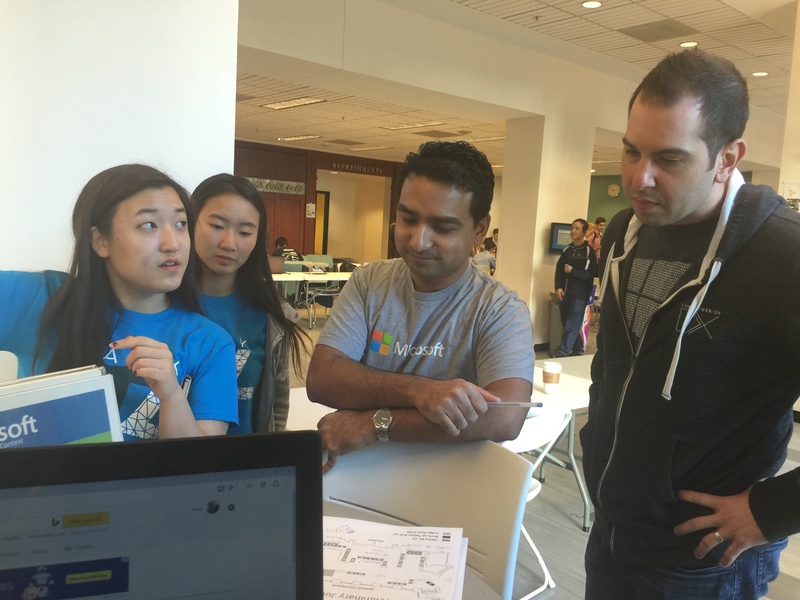 I got to work with some really nice and talented staff fro MS on the TE team. 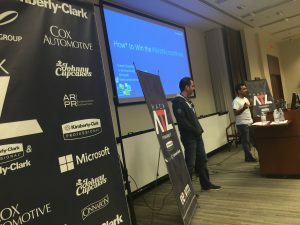 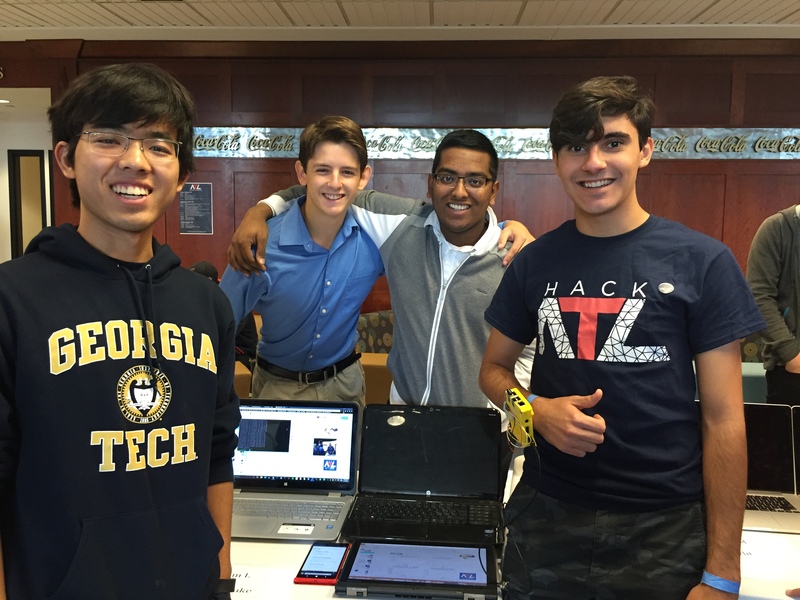 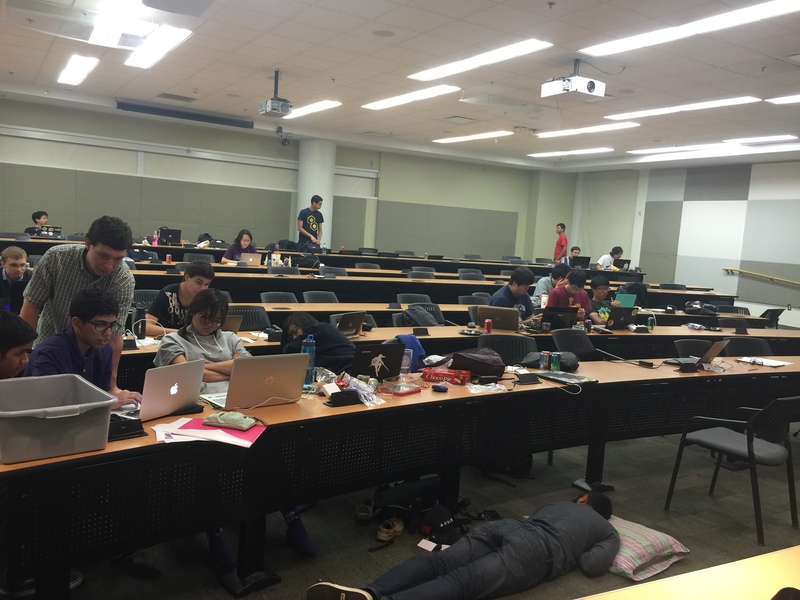 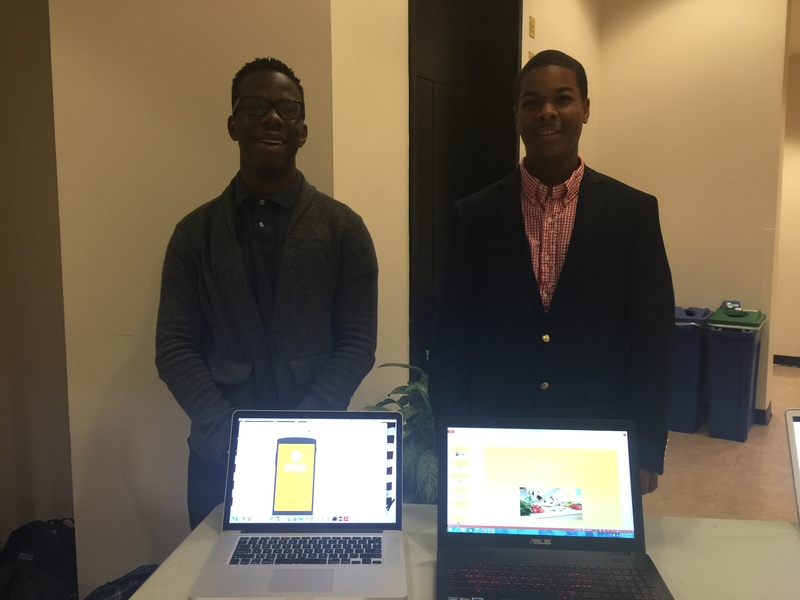 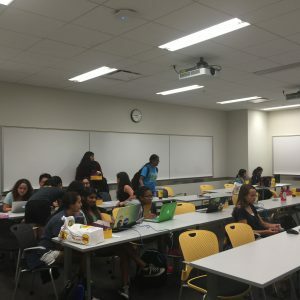 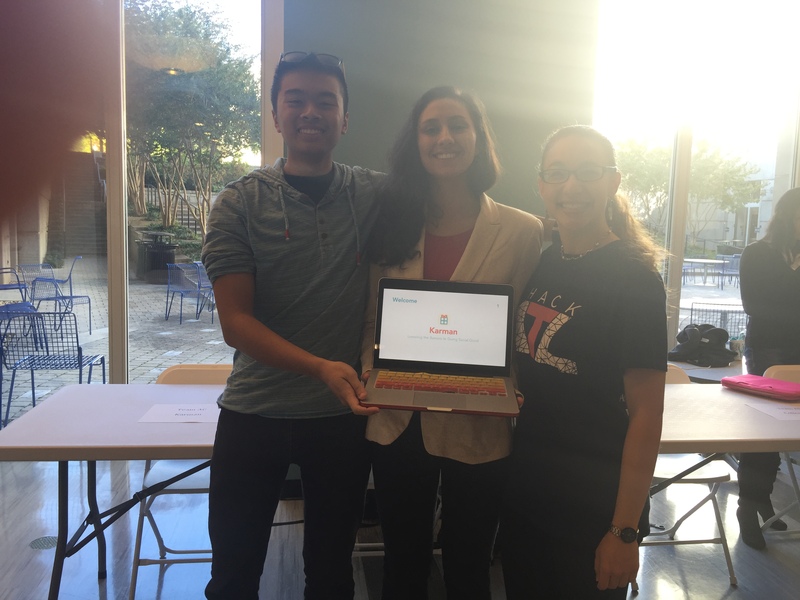 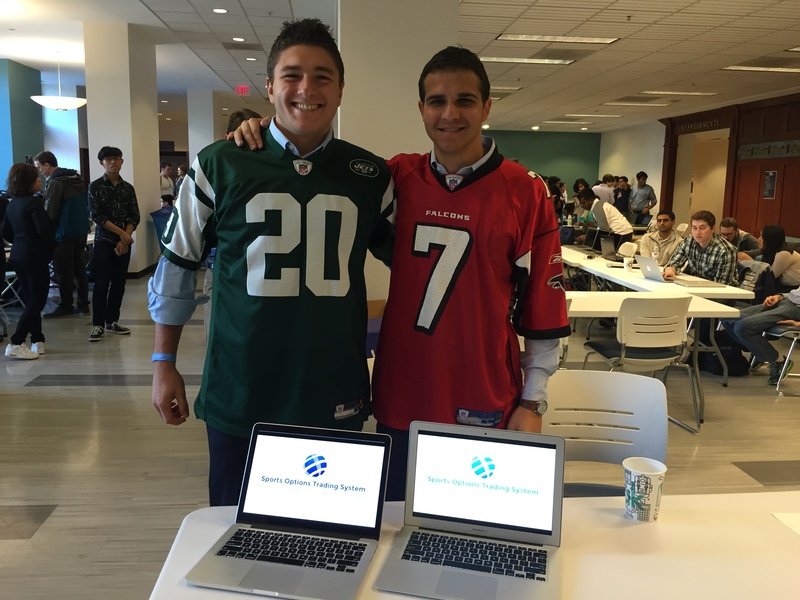 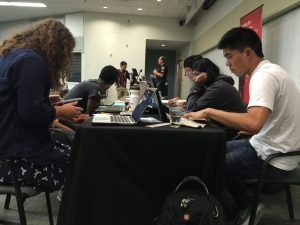 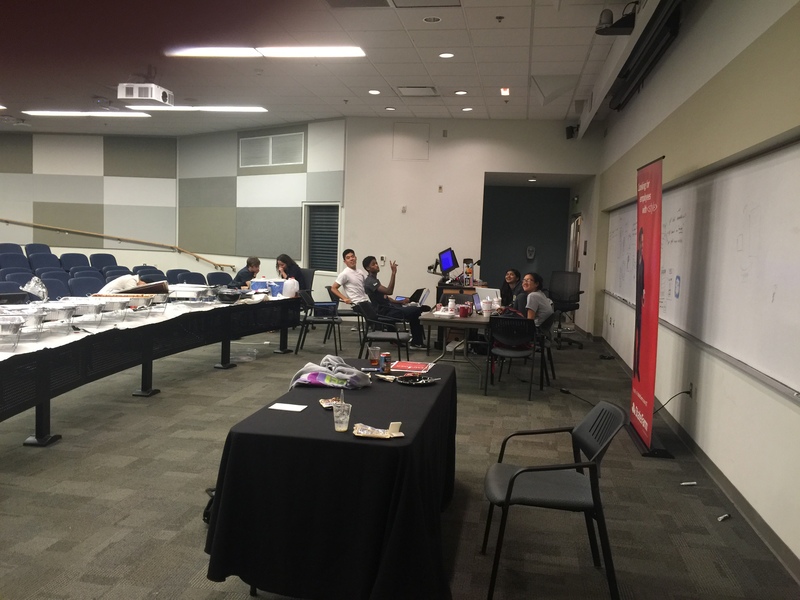 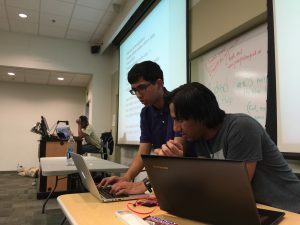 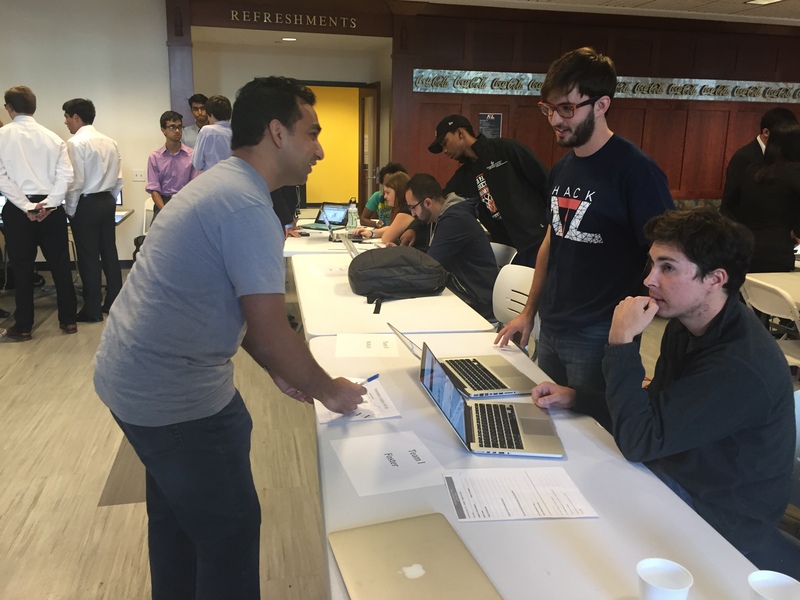 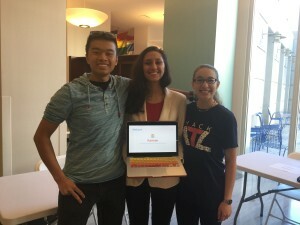 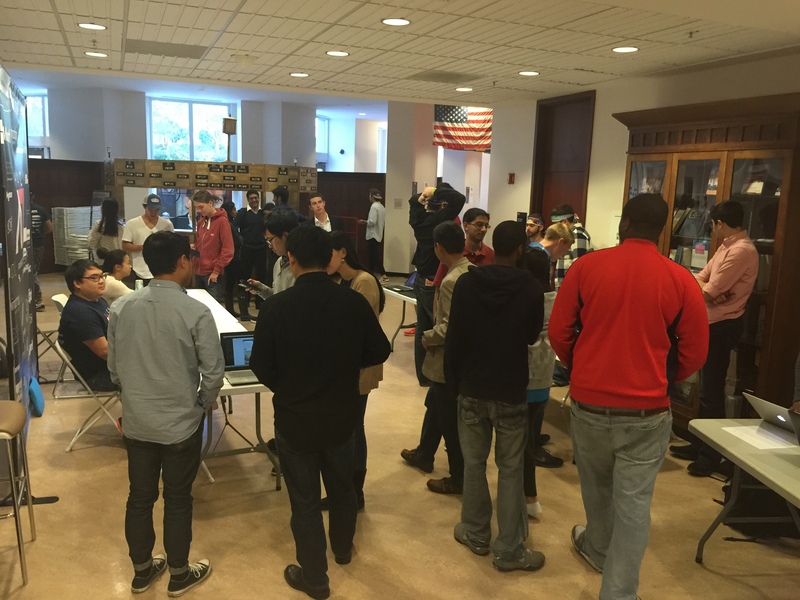 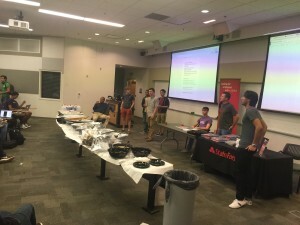 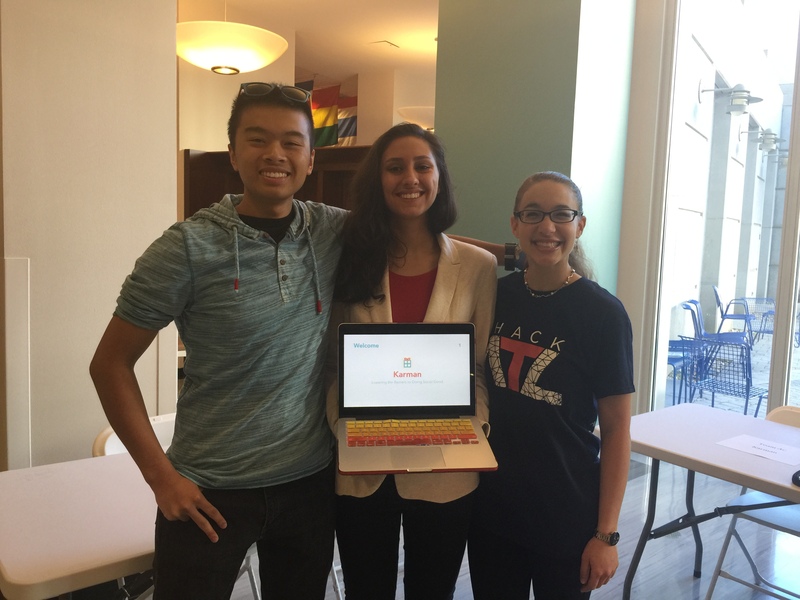 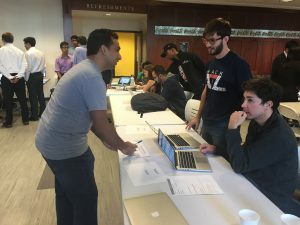 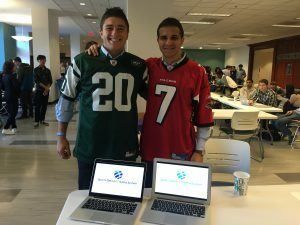 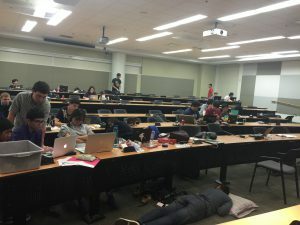 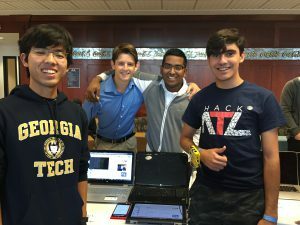 Mentored for Georgia Tech overnight Appathon with Arunabh Verma! 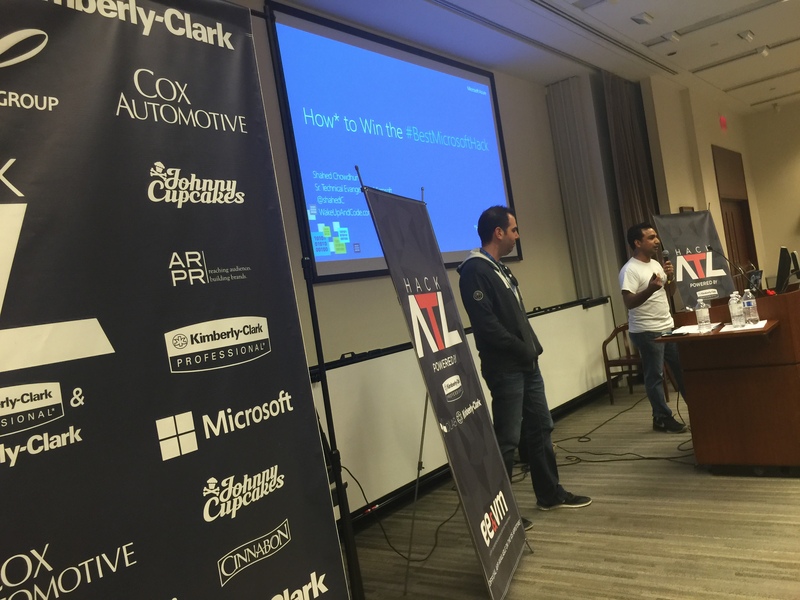 I got to meet one of the brightest developers I have yet to ever meet in Arunabh. 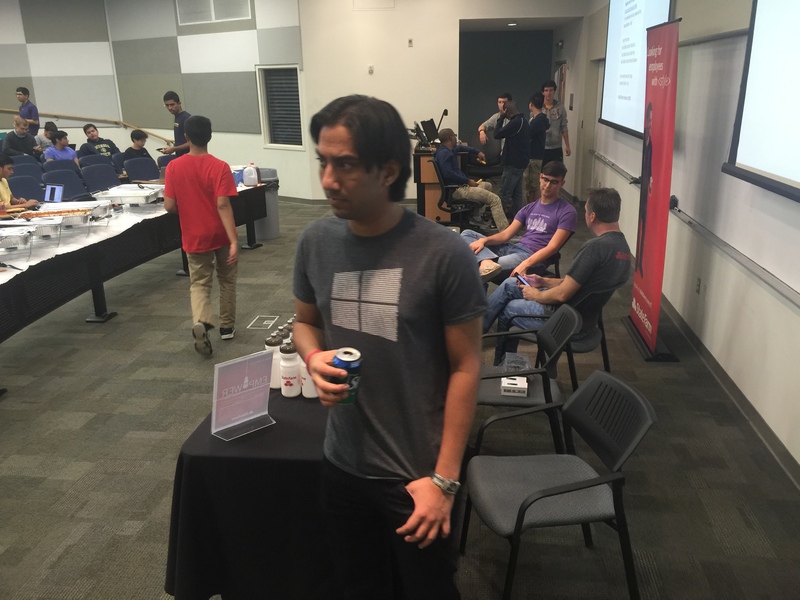 He is the guy responsible for the notification tray on Windows 10. 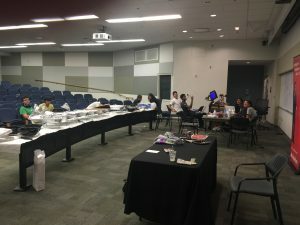 We had such a great time, and GT did a good job organizing for this event. I don’t take many selfies at events so this is one of the only times you will see me in pictures. 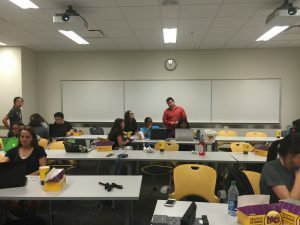 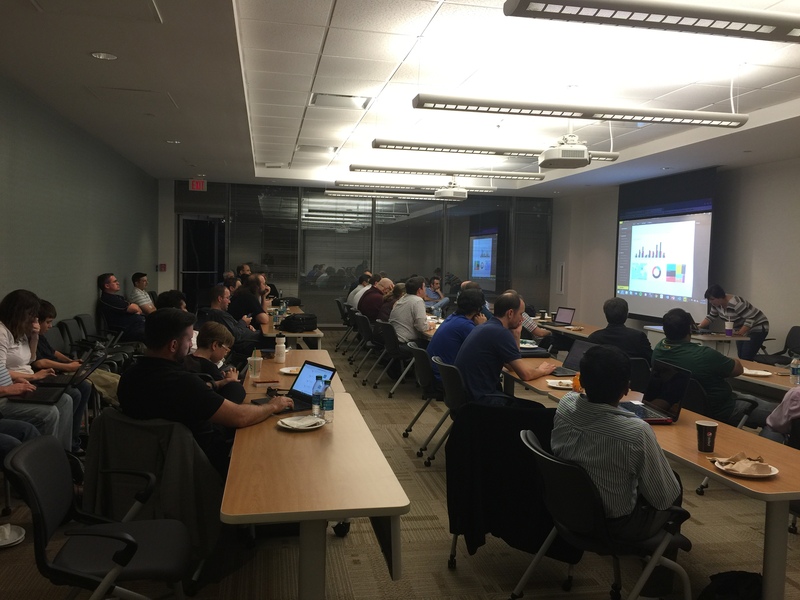 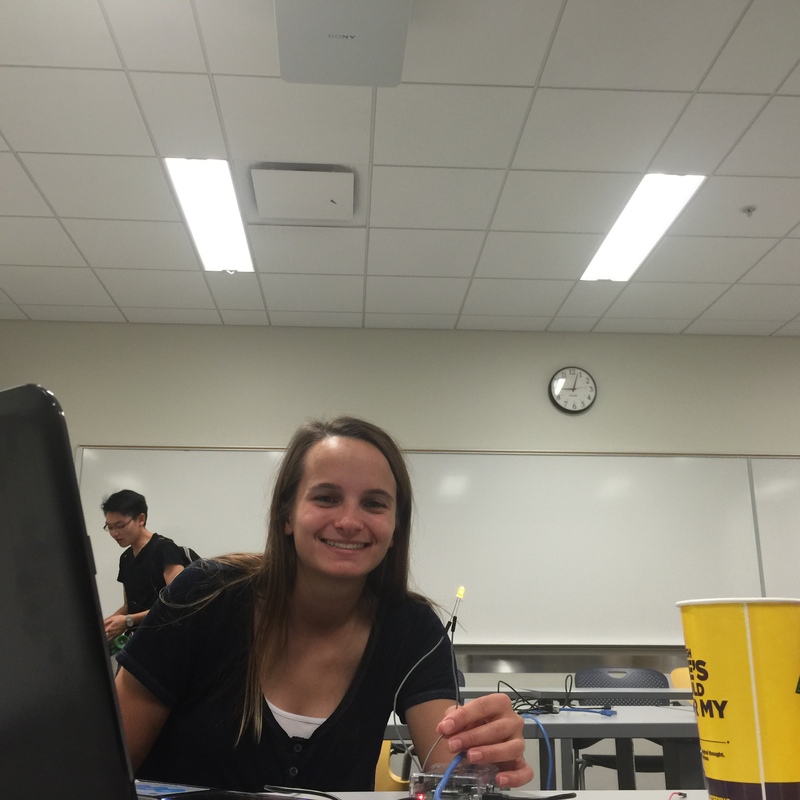 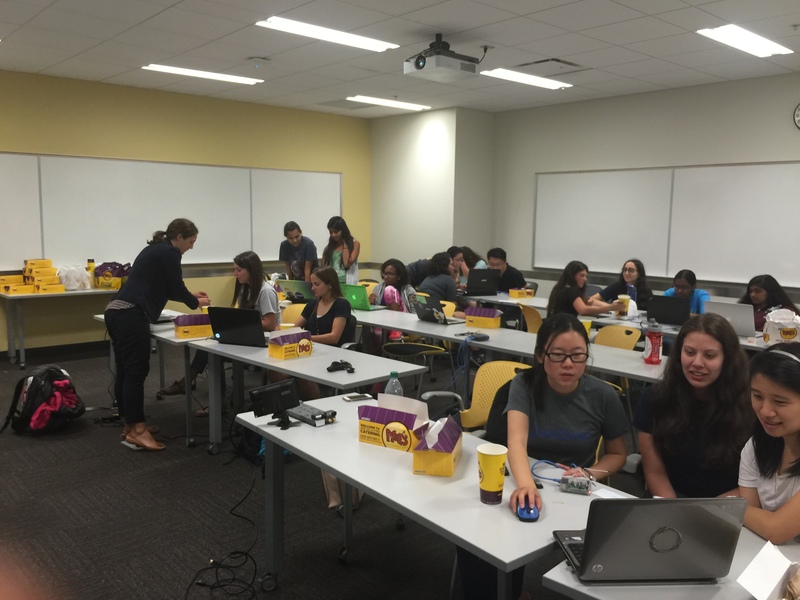 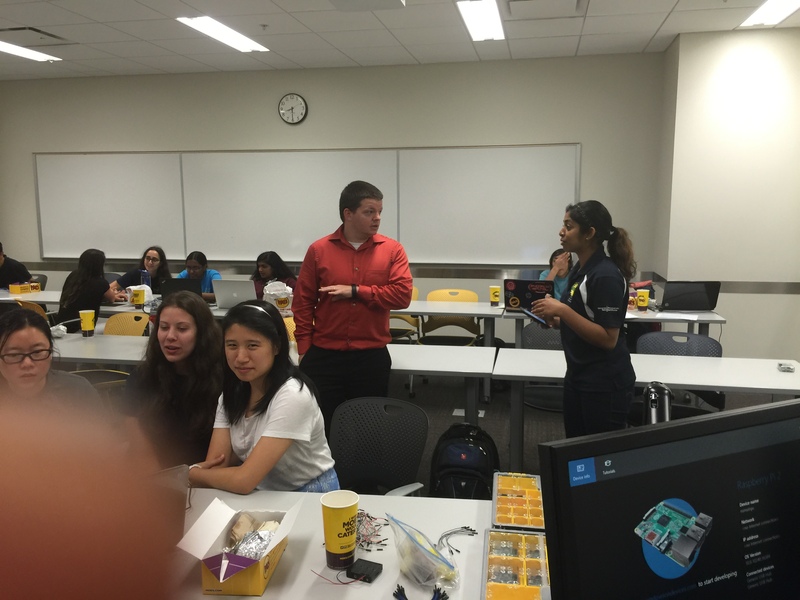 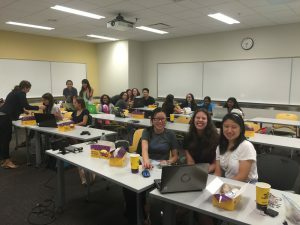 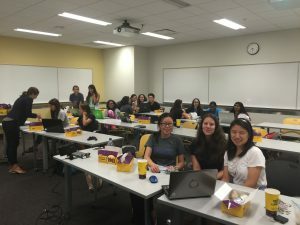 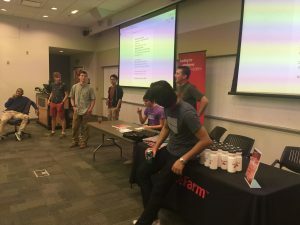 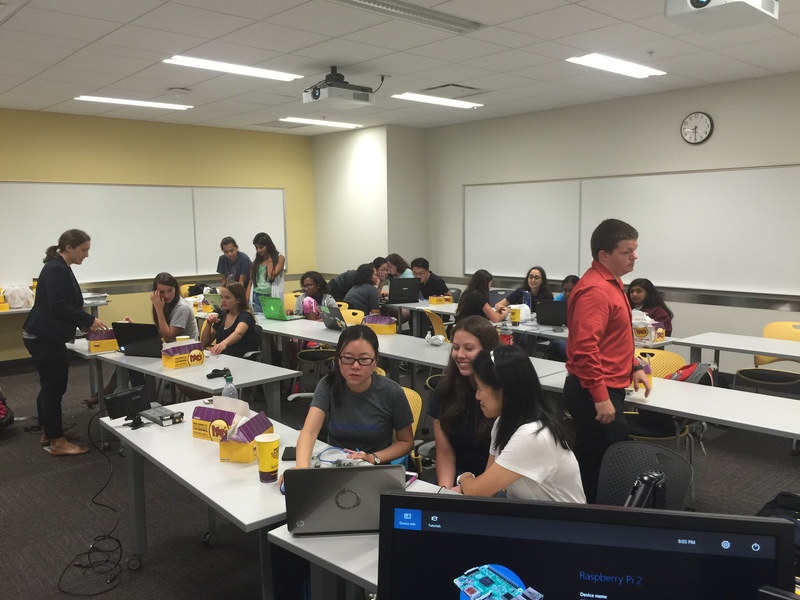 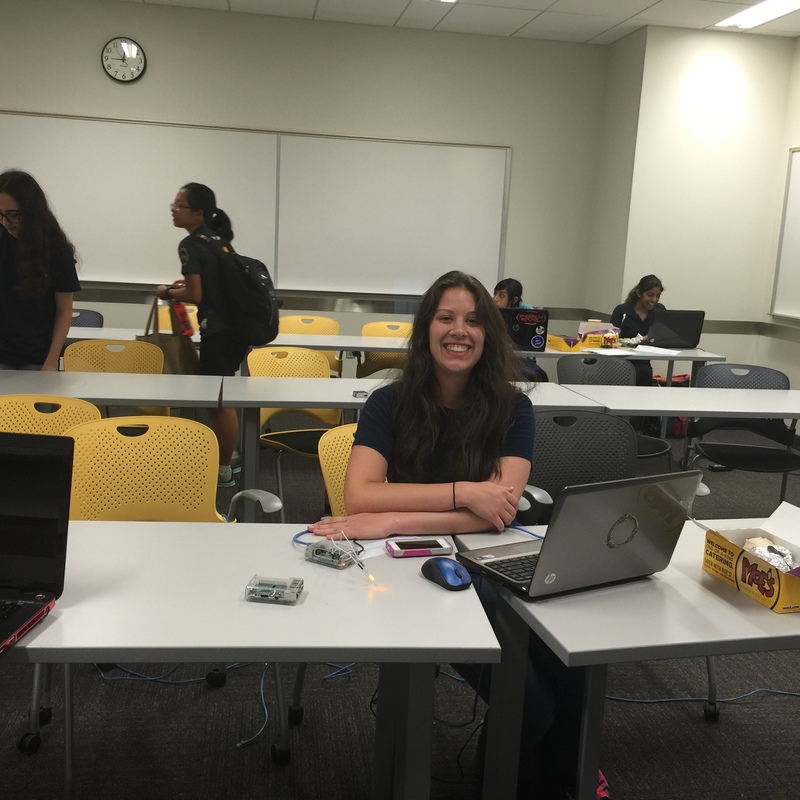 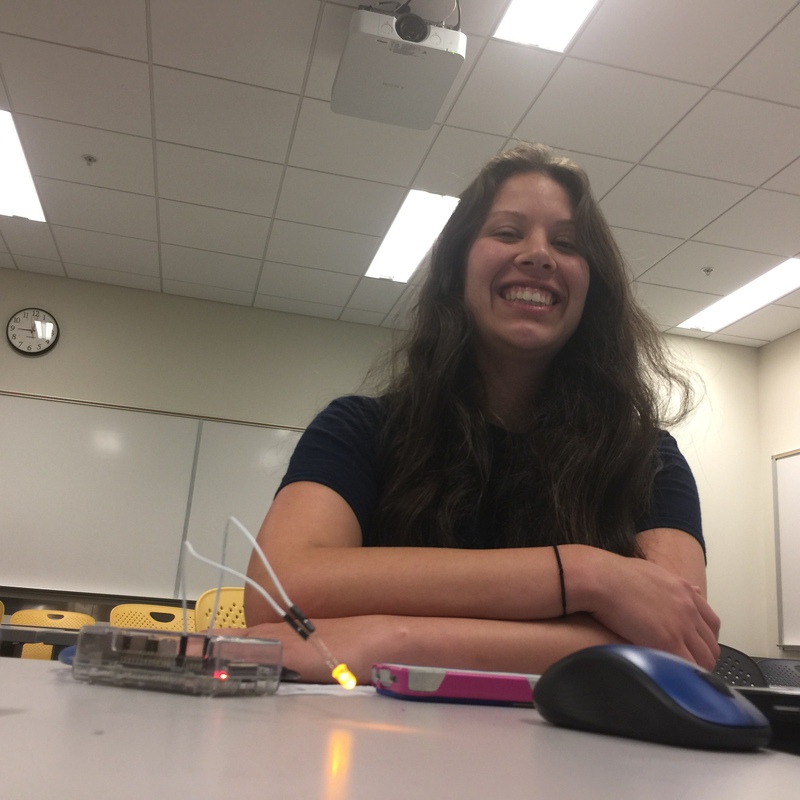 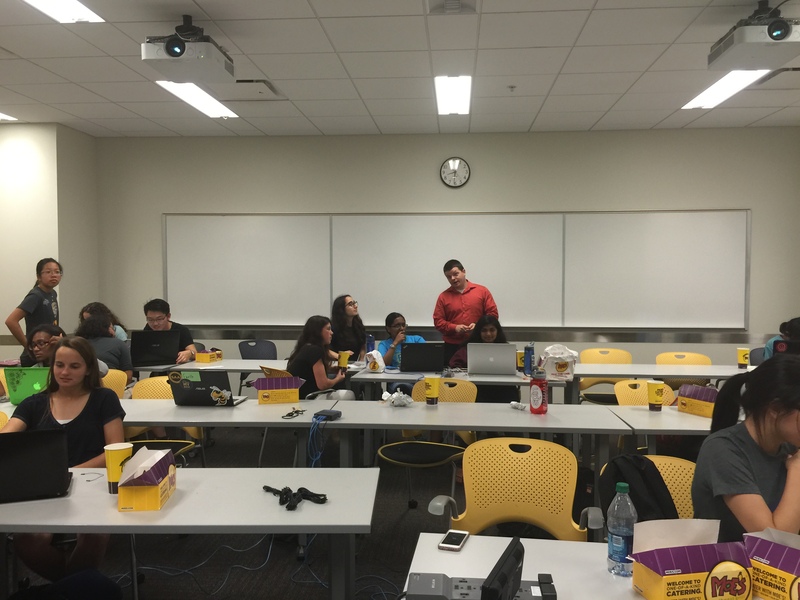 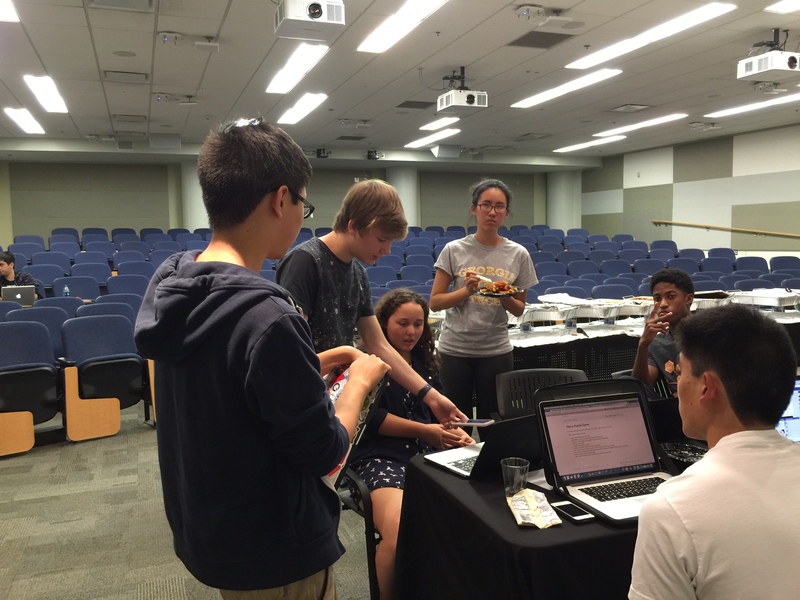 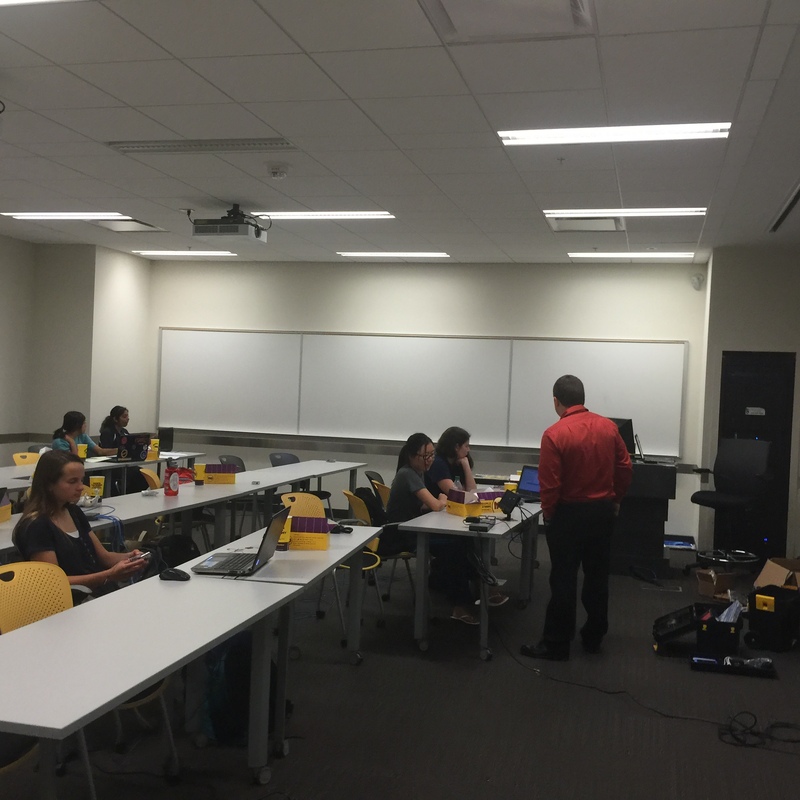 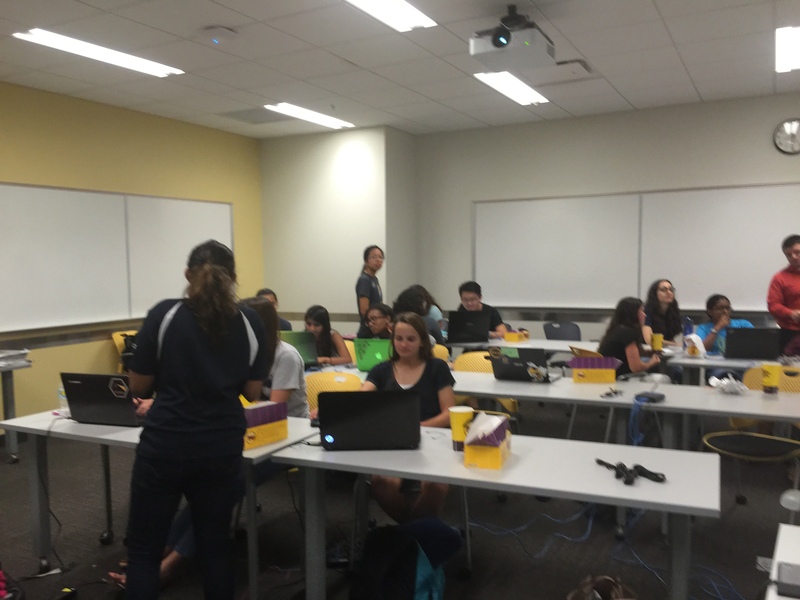 Ran an IOT class for Microsoft for the Society of Women Engineers are Georgia Tech. Was a log of fun! 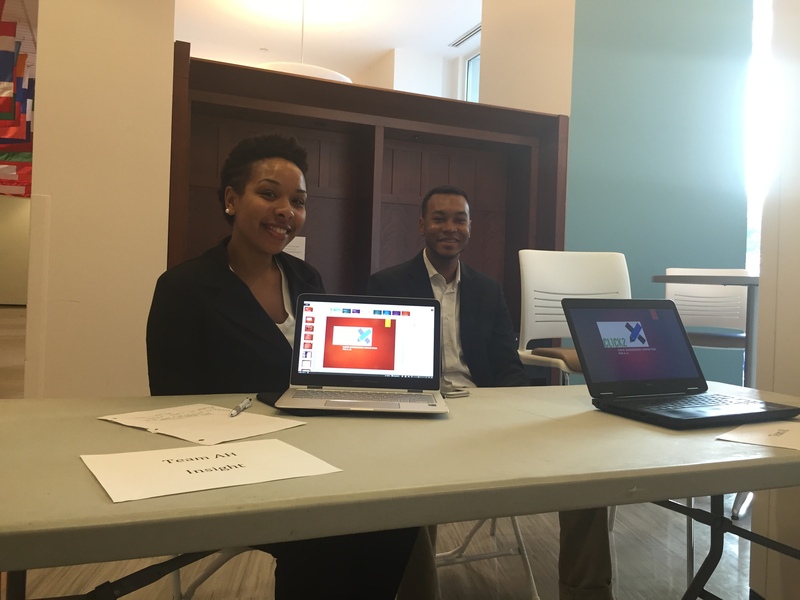 Project Oxford, the new way to handle Human – Computer interaction. 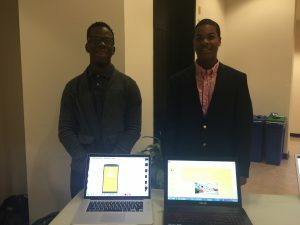 Project Oxford allows you to extend your Universal applications with a RESTFUL API call, so that you can do advanced processing on a simple device. Therefore, you don’t have to have things like a facial recognition API on such a small device as long as the application can reach the cloud. 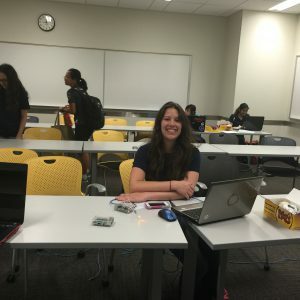 Here is an example of it being used with a Raspberry Pi: Door unlocking, in an instant. 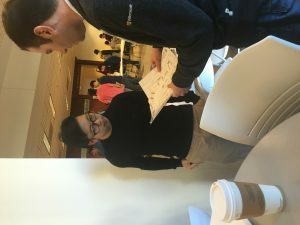 I have been in a transition from Lead to Architect for a few years now. During this time I have run into quite a few things I thought I was really informed on and had really only scratched the surface. 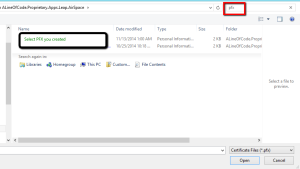 When you don’t use things on a daily basis the get lost in the shuffle. 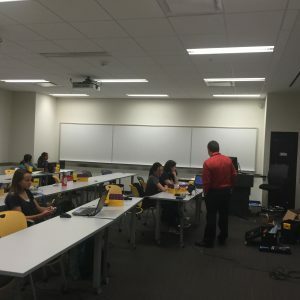 However, many things are important that are only used a few times throughout your career. 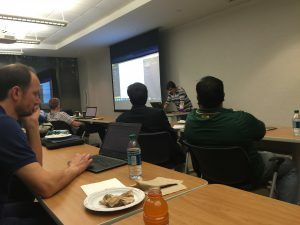 I am doing a refresher on many of the things that need to be mastered before you can move from Lead Developer to architect, along with links and some pluralsight courses. Starting tonight I am going to list out quite a few different courses and links that you should know and study if you are planning on moving into the Architect space in .net. 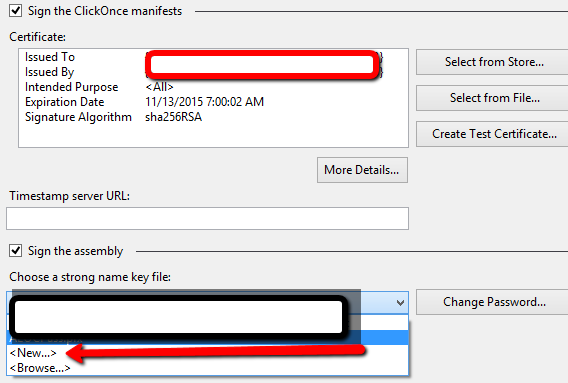 Visual Studio 2015 – An error occurred while signing: Failed to sign SignTool Error: No certificates were found that met all the given criteria. What a flippin nightmare. Days of lost work. None of the “fixes” from the site work. 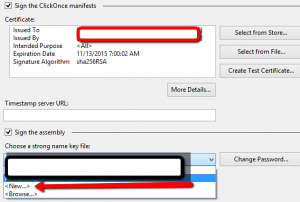 Return the default empty list. 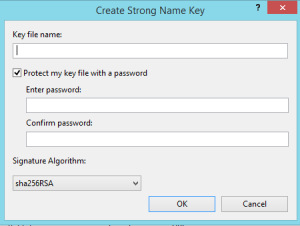 TypeSwitch Pattern for generic Entity Framework Calls. 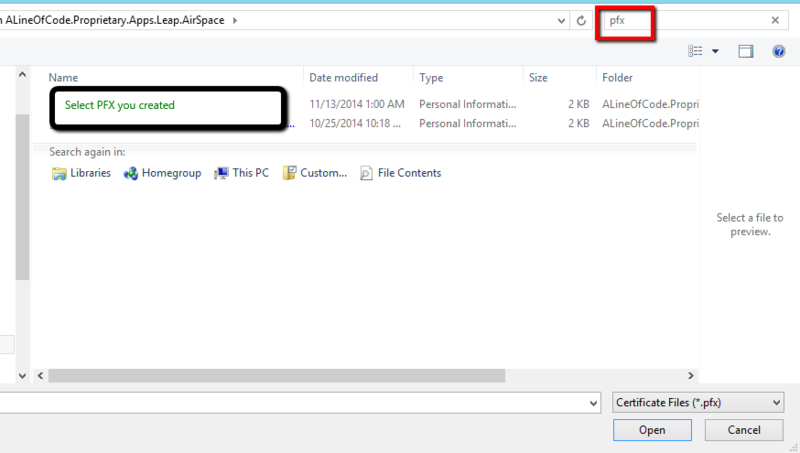 I found this useful rather than having to use wrapper classes or additional properties to switch on. This was very well done and it seems to lend itself to base frameworks, navigation, replacement of IOC containers etc.